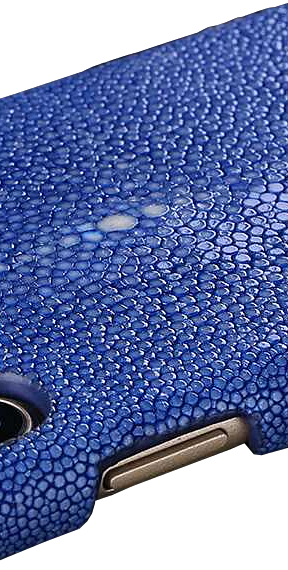 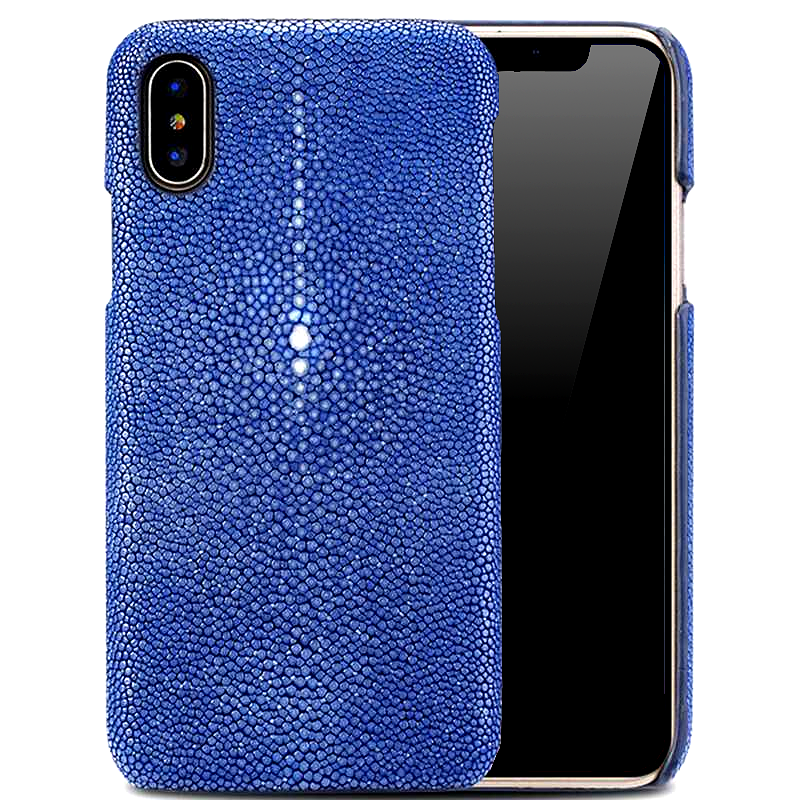 This handcrafted genuine stingray leather sapphire blue iPhone X case is bold, unique, and made using the finest skills of artisan and quality design. 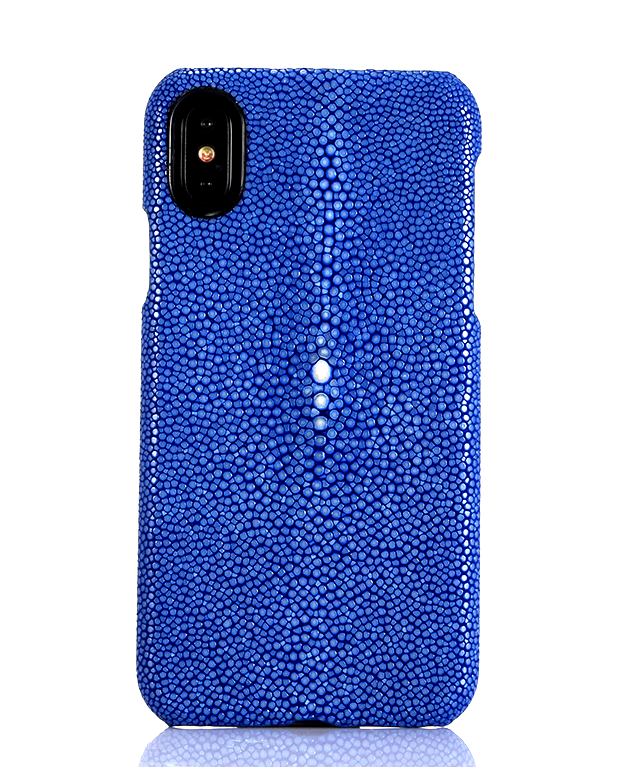 The snap on phone case is an effortless way to show you're stylish all-round, from phone case to wardrobe. 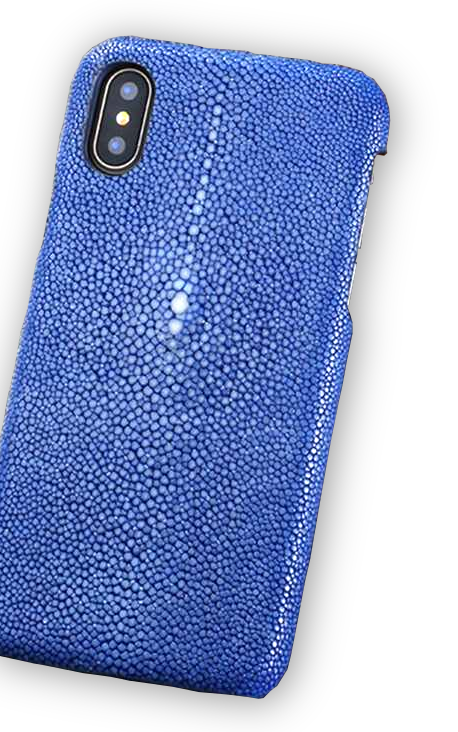 The attractive design is complemented with a look and feel that bright, elegant, and absolutely fashionable. 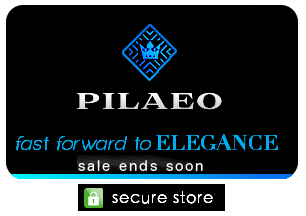 Available now with worldwide shipping.